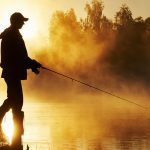 Today’s anglers are pretty spoilt when it comes to lure choice. There’s an overwhelming array of styles, shapes and colours on the market. 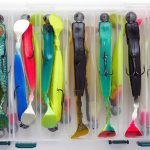 So, how do you sort your way through all the alluring designs to ensure that you get functional fishing lures that simply work? Read on for a few tips on how to select the right lure for the job. The first and foremost decision is to think carefully about the behaviour of your target species. Think about what the fish are eating and select lures to mimic the prey. If they’re feeding on baitfish, choose a soft plastic or hardbody of similar size and shape. If the fish are munching on worms, select a sinking grub style plastic to imitate a wriggling meal. Always select an appropriate lure for the given situation or habitat. There’s no point selecting a Barramundi size plastic if there’s only Whiting in the vicinity. Select lures that target the depth at which the fish are holding. If the fish are deep, use metal or plastic jigs to reach them. When fish are high in the water column or feeding at the surface, select shallow running lures or poppers. The closer the lure gets to the fish, the more likely that they will strike! Keep in mind that plastics are the most versatile option for reaching various depths. 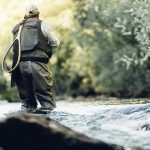 Jig weights can be easily changed or a fast twitch action can keep plastics high in the water column, whilst a slow drop can get them down deep. Lure action is arguably the most important feature of a lure. The way that a lure twitches, vibrates or kicks will either entice or deter a fish bite. The ideal lure action is largely dependent on the target species. Barra love a large beating plastic tail, while Kingfish can’t resist a fast-moving and erratic stick-bait plastic. Look for lures that produce plenty of action with minimal movement. Plastic fishing lures that undulate or kick on the drop are ideal. Hardbodies and vibe lures with a tight uniform shimmy usually produce fish. Generally, avoid lures that swim in an unusual or unnatural manner. If you think the lure looks weird, the fish probably will too. 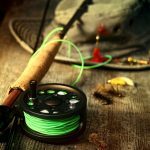 Lure colour is a hotly debated topic. There’s no doubt that in murky water conditions white lures seem to be very productive and gold hardbody lures are a known winner in tropical environments. However, I’ve witnessed a pink hardbody lure catch so many fish that all trace of colour was gnawed back to raw plastic. Guess what, the paint-stripped lure still caught as many fish as it did with the original colour. The best approach is to choose natural looking colours in clear water and brighter or more reflective options in discoloured water. If you are confident with a particular colour, then stick to it. Another hotly debated topic is the importance of realism in lures. Fly anglers will go to extreme lengths to ‘match the hatch’ or imitate the insects or baitfish that the target species is feeding on. However, there are many successful lures and fly patterns that aren’t remotely realistic in appearance, yet they catch plenty of fish. Then there are the wonderful creations known as spinnerbaits that blow the concept of realism out of the water! 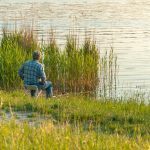 Once again, this suggests that action, flash, and vibration are the most important factors for attracting and enticing fish to bite. The other quality of a lure that should be considered is its durability and value for money. When fish are on the chew, it’s good to have a single lure that continues to catch repeatedly. Hardbody or vibe lures are ideal in such a scenario. Plastics are much less robust but they are cheaper and disposable. Weigh up the advantages of forking out big bucks for a robust and longer life hardbody or vibe lure against the benefits of cheaper short-term plastics. 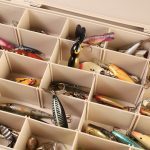 Knowledge is the fundamental driver of every fishing tackle selection including lures. The more you know about fish behaviour, the easier it is to select the best strategy and the most appropriate lure. Do your homework on fish species and fishing locations and head out with a plan of attack. They say that fancy lures catch more anglers than they do fish. That may be true, but if you think carefully about lure attributes and tailor lure choice to fishing applications, you’ll soon separate the producers from the seducers. Is there anything you would like to add here? Share your fishing lure experience with everyone through the comments section below.